The moon has always fascinated me. I guess I am not alone there; the whole world is affected by the phases of the moon and stricken by its beauty. It has inspired poets, artists, writers,photographers, explorers and countless others throughout history. I am one of them. The moon effects our emotions, some more than others. It is a known fact that on a full moon the police stations and hospitals are more crowded than usual. In many ways the moon seems to have gotten a bad reputation. Some say the new moon and full moon are responsible for more suicides, binge drinking, car accidents and simple madness. The moon has many faces, as the man in the moon will tell you, he is actually a woman. The moon has always been a symbol of emotions and female strengths, whereas the sun represents the male influences. We would be lost without one or the other. There is a full moon on the way in just a few days. The next full moon is on the 19th of March and it will be truly a sight to see. 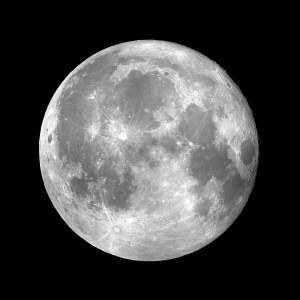 Every 19 years the full moon occurs closer to the earth then at any other time. It will be larger and brighter than usual, so those of you that have a telescope handy get it ready. I plan on digging mine out of the back room and I am crossing my fingers for clear skies. Many are predicting that there will be extreme weather that day, hopefully what happened yesterday in the pacific and especially Japan will not happen again. My prayers go out to all who have been effected by the Tsunami yesterday. I am just hoping that on the 19th of March mother moon will be in a good mood and shine down on us in all her glory.